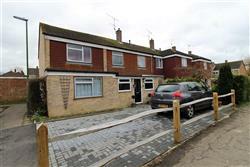 Fantastic opportunity to live in a recently refurbished 2 bed maisonette in a great location. Just a 5 minute walk from Horsham Station and a 10 minute walk into the town centre. This excellent property comes to the market with one male tenant in residence. Open House lettings have low tenant fees of just �0 inc VAT for tenancy applications and reference checks, which the landlord has kindly offered to reimburse when the tenant moves out. Bills included: Council tax, water, gas, electricity and broadband. Also take advantage of the small deposit of just �0. The living accommodation is split over 2 floors and has been refurbished to a high standard. Benefiting from its own front door on the ground floor, you walk upstairs to the open plan kitchen/dining/living area, with high quality wooden flooring The kitchen comprises an electric oven, induction hob, dishwasher and microwave. As the property is furnished there are also kitchen utensils, crockery, pots and pans. Just off the kitchen is the dining area where there is a solid oak dining table and chairs. The living area has a 3-seater sofa and a range of free standing oak cupboards and cabinets. Upstairs there are two double bedrooms, the largest of which is advertised here. As the property is furnished the bedroom will contain a brand new double bed and two bedside cabinets. The bedroom also has one double built-in wardrobe with cupboards above and a single built-in wardrobe, with shelving, so there is plenty of storage space. The shared bathroom is fully tiled and is comprised of a very modern bathroom suite, with both an electric and mains shower over the bath. A large cupboard on the landing houses the washing machine and tumble drier. Open House Horsham are delighted to bring to the market this well-presented, well-equipped one bedroom annexe in Broadbridge Heath. You have your own private access which leads into a large living room with kitchen on one side. The kitchen has a range of base and wall units, electric hob and oven, fridge and washing machine. There is plenty of space for a table and sofa. Through to the bedroom with ample space for a double bed and wardrobe and a large window at the front. There is also a further door which leads into the porch area of the main house. Situated between the kitchen and bedroom is the large bathroom complete with white suite and shower over the bath. The property is neutrally decorated, with uPVC windows and gas central heating. It also benefits from having its own private paved courtyard outside and parking can be found on the residential road adjacent to the property. The rental price includes the bills for council tax, water, electricity and internet. The tenant will be required to pay the gas bill. Open House Horsham are delighted to bring to the market this well-presented ground floor maisonette in a quiet cul-de-sac location off Cedar drive in Southwater. Southwater centre benefits from recent development providing local shops and eateries, situated approximately 3.5 miles from Horsham and approximately 20 minute drive to Gatwick Airport. It is also close to Southwater Country park with it's lakeside walk, water sports and children's play area. Upon entering this spacious ground floor maisonette you will see that there are two storage cupboards in the hallway. To the left is the bathroom with white suite and shower over the bath. To the right is the bedroom with ample built-in storage. Into the main living area, there is the light sitting room, with conservatory leading off through the patio doors. Finally there is a spacious kitchen with room for a small table and plenty of base and wall units. This is a great property and an internal viewing is highly recommended. Open House Horsham are delighted to bring to the market this stylish and modern one bedroom cottage within walking distance of both Littlehaven and Horsham train stations. The accommodation comprises: living room, fitted kitchen with washing machine, oven and fridge freezer, shower room and stairs leading to the first floor. Upstairs is a double bedroom with fitted wardrobe. This property also benefits from double glazing and one allocated parking space. Please note there is no garden with this property..
Open House Horsham are delighted to bring to the market this beautifully presented, luxurious two double bedroom, first floor apartment built by Berkley Homes in 2015. It is situated on the highly regarded "Highwood" development which is about a 25 minute walk from Horsham town centre with its wealth of cafes and restaurants. The property has a security entry phone system and spacious communal hallways and stairs which have a luxurious feel. Upon entering the property, you will notice how everything still looks and feels brand new with a contemporary finish and quality fixtures and fittings, such as Amtico flooring, Twyford bathroom suites and Hans Grohe chrome taps. The large master bedroom is directly ahead with en-suite bathroom complete with stylish tiling and large walk-in shower. The second bathroom complete with shower over the bath, and the spacious second bedroom are on the opposite side of the hallway. The best feature of the apartment is the 19ft open plan, triple-aspect kitchen/living/dining area with double doors opening to a Juliette Balcony. The kitchen has a range of Alno Pino units and worktop, with integrated Zanussi fridge/freezer, oven and ceramic hob. This fabulous room can accommodate a large sofa and dining table. A utility cupboard in the hallway contains the Washer/Dryer and a further large double cupboard by the entrance completes the accommodation. An internal viewing is highly recommended. Open House Horsham are delighted to bring to the market this spacious property in a popular location on the west side of Horsham. It is conveniently located within walking distance of the local Co-operative shop, schools and pub. It is also within a mile of Horsham Station, Park and town centre with its wealth of shops, cafes and restaurants. As you enter the property you will notice that there is plenty of space to hang coats and store shoes. Almost directly in front of you are the stairs, leading up to the living accommodation on the first floor. The living room is spacious, with two large windows offering views onto the well-kept communal gardens. You then walk through to equally large kitchen/diner, with wooden flooring throughout and a modern kitchen. There are a range of cream, gloss, wall and base units, wooden worktop, stylish black hob and double oven. There is space for a dishwasher, washing machine and American style fridge/freezer. Back in the sitting room stairs lead up to the second floor, where there are three good sized bedrooms. Two of the bedrooms have built-in wardrobes and there is also a large double cupboard on the landing for extra storage. Finally the family bathroom, with modern white suite, white tiles and electric shower over the bath completes the upstairs accommodation. Open House Horsham are delighted to bring to the to market this well-presented, mid-terraced, three bedroom property. It is set in a cul-de-sac on the popular Hills Farm Estate, a development to the west of Horsham, that offers good access to the A24 and A281. The property is also set within one mile of both Tanbridge House School and Arunside Primary School. It is also within walking distance of Horsham's thriving town centre with its varied range of shopping facilities, cafes and restaurants. On entering the property, you are greeted by an entrance porch with plenty of space to store shoes and coats. An inner door leads through to the large living room. This spacious room can easily accommodate a large corner sofa or three-piece suite. Open to the living room is the kitchen/diner. The recently fitted kitchen has a range of white gloss base and wall units and drawers. The dining area can fit a good-sized dining table and there is access to the rear garden through the patio doors. Upstairs there are two double bedrooms and one single. The master is at the front of the property and has plenty of space for wardrobes, as well as a large cupboard over the stairs. Finally, a modern bathroom with shower over the bath, completes the accommodation. The rear garden requires little maintenance, there are mature shrub borders and rear access. There is one allocated parking space and ample non-allocated parking to the front.